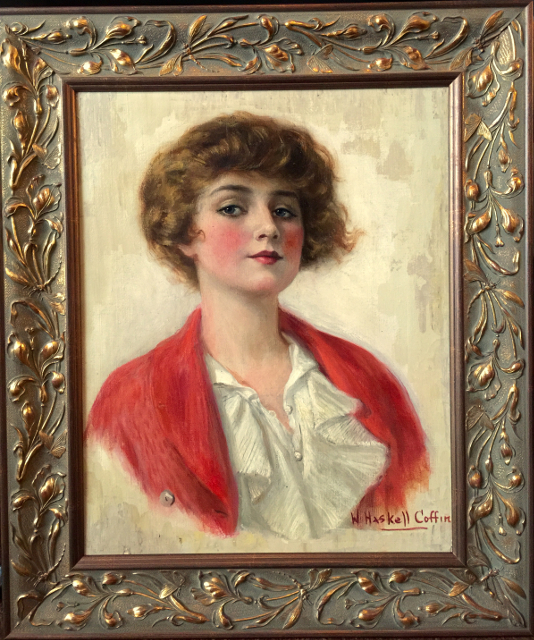 This oil on board painting was created by Haskell Coffin. It was used as the cover image for the October 11, 1913 issue of The Saturday Evening Post. This is a great example of an early Saturday Evening Post illustration. As you scroll over the image, you will see the magazine for which it was used.